왕벚나무는 장미과에 속하는 나무로서 꽃은 4월경에 잎보다 먼저 피는데 백색 또는 연한 홍색을 띤다. 지형이 높은 곳에 자라는 산벚나무와 그보다 낮은 곳에 자라는 올벚나무 사이에서 태어난 잡종이란 설도 있으나, 우리나라 제주도와 전라북도 대둔산에서만 자생하는 우리나라 특산종이다. 왕벚나무는 한때 일본의 나라꽃이라 하여 베어지는 수난을 당하기도 하였으나, 일본에는 왕벚나무의 자생지가 없으며 순수한 우리나라의 특산종으로서 일본에는 우리나라의 왕벚나무가 도입되어 가서 자라고 있는 것으로 추정하고 있다. 봉개동 왕벚나무 자생지는 제주시에서 동부산업도로변에 위치하고 있다. 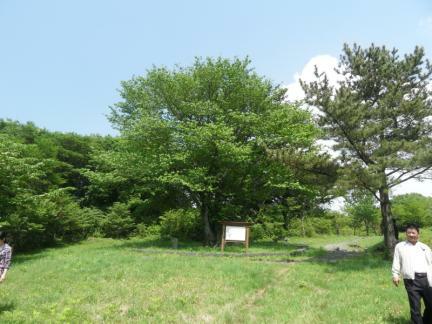 동·서로 100m쯤 떨어져 두 그루가 자라고 있으며 높이는 15m 정도이다. 현재는 돌을 쌓아 작은 석축을 만들어 보호하고 있다. 왕벚나무는 우리나라가 원산지로서 그 수가 매우 적은 희귀종이므로 생물학적 가치가 높고, 식물지리학적 연구가치가 크므로 봉개동 왕벚나무 자생지를 천연기념물로 지정·보호하고 있다. 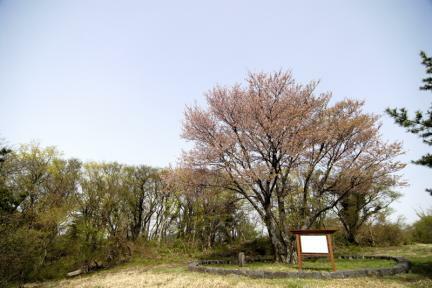 As an endemic species in Jejudo Island and Daedunsan Mountain of Korea, Yoshino Cherries bloom in April before its leaves are out. 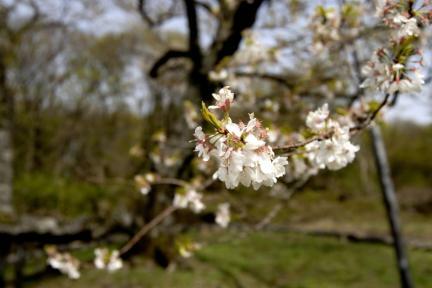 Its flower is white or light-pink. 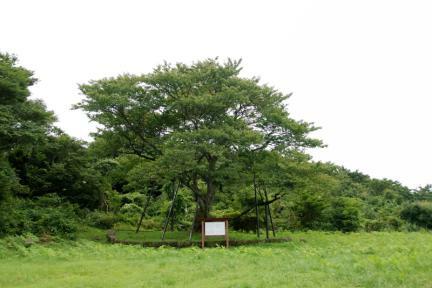 At one time, these trees were cut down by the Korean people who regard the flower of this tree as the national flower of Japan. 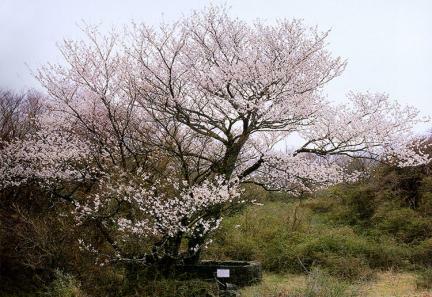 The natural habitat of Yoshino Cherries in Bonggae-dong is located near the east-industrial road in Jeju-si. 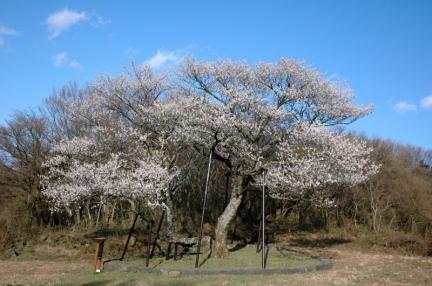 There are two Yoshino Cherries standing 100m apart from each other, and they are about 15m tall. 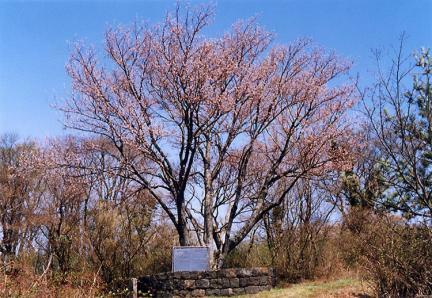 Currently, they are protected by a small stone wall. 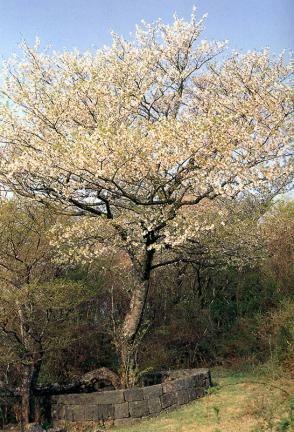 Since Yoshino Cherries are very rare and are also biologically valuable, they are designated and protected as a Natural Monument.